Jiu-jitsu.News: Lovato Jr. AND Sr. Both Sign Up For IBJJF World Masters! 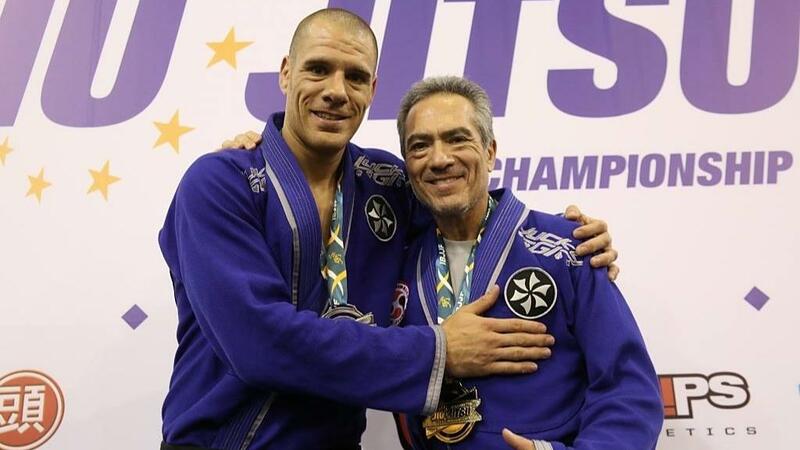 The father and son team of Rafael Lovato Sr. and Jr. have put their names forward for the IBJJF World Master Jiu-Jitsu Championship. The three-day event -- scheduled for August 24-26 in Las Vegas -- is the biggest tournament in the world for jiu-jitsu competitors over the age of 30, and last year attracted almost 4,000 registrations. Lovato Jr. is well known as one of only a handful of American men to have won a gold medal as a black belt at the IBJJF World Championships. He also completed the Grand Slam, winning Europeans, Pans, Brazilians Nationals, and Worlds in the same year (2007). Lovato Sr. is a respected figure in the martial arts world, having been instrumental in the development of jiu-jitsu in the state of Oklahoma. Junior will compete in the Masters 1 (30-34) super heavyweight division, while Senior will compete in the Masters 6 (55-60). Lovato Jr. has a very competitive division of 17 total entrants, while Senior will compete in a bracket of four.